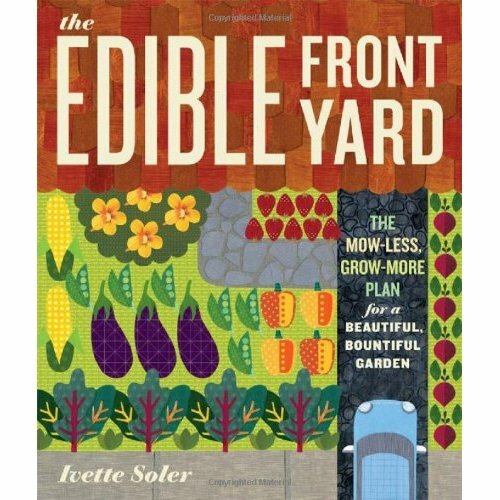 We LOVE The Edible Front Yard: The Mow-Less, Grow-More Plan for a Beautiful, Bountiful Garden by Ivette Soler. In this book, the author offers step-by-step instructions for turning your front yard into a beautiful, edible garden, with specific guidelines for selecting and planting the most attractive edible plants, as well as design advice and plans for the best placement and for combining edibles with ornamentals. Edible gardens can be beautiful and replace our well-manicured lawns that look nice, but drain our water reserves and give us back little in return. If you’re interested in turning your front yard into an edible garden, then you’ll want to read what Ivette has to say. You say you have free book an yet you it cost $14:46 for edible front yard wt?